One of the best-known facts about sports gambling is that bookies can make sizeable profits, but, there are risks for bookies too, and some years are more stringent than others. Whenever there is a bad season, people who are not part of the industry but, have thought about becoming bookies themselves at some point, can’t help but wonder is being a bookie profitable? This is a fair question and one whose answer can differ depending on who speak to. In general, being a bookie can be one of the most profitable business ventures anyone can embark on, but, you need to know a few trade secrets to success. So, let’s talk about the good, the bad and the lucrative aspects of being an independent bookie. For ambiance, you might want to read this article with the soundtrack to the classic western The Good, the Bad and the Ugly, and imagine you are Clint Eastwood. OK so this might be a little bit of an overkill, but in my opinion, there is no reason why you can’t have fun while you read about a potential business idea. There are many good reasons why you should consider becoming an independent bookie, let’s go over some of the most notable. You Will Be Your Own Boss: If you dream about overseeing all the decision making about where and how your business should be heading, then there is nothing better than being self-employed. You Can Set Your Own Schedule: No more having to show up at the office by 9 am. When you are the boss, you can work when it’s convenient for you. 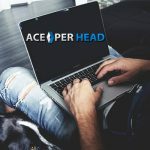 You Can Work from Anywhere in the World: Thanks to the internet you can manage your online sportsbook from anywhere in the world, provided you use a top-rated pay per head service like AcePerHead.com. You Don’t Need a Lot of Money to Get Started: Unlike other internet businesses, getting your online sportsbook off the ground won’t take up a lot of money. Initial investments at a pay per head services vary depending on how many players you have, an agent with 25 active players can expect to pay $250 per week for a full suite of services. 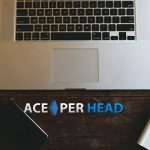 You Can Get Started the Same Day: If you decide to become a bookie today, you can have your package up and ready to take wagers in as little as 20 minutes when you sign up with AcePerHead.com. 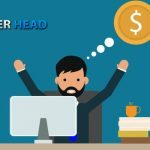 The best thing about being a bookie nowadays is that with the help of pay per head companies like AcePerHead.com you can take a lot of the uncertainties of bookmaking out of the picture. However, regardless of how excellent a service you receive from your pay per head company, there are still risks associated with being a bookie. You Need to Acquire and Maintain Players: The one thing no pay per head company will do for you is find new players. That task will always be 100% your responsibility; now, an excellent pay per head service will make retaining your players a lot easier, but, if you don’t manage your business well, you will end up losing those as well. Every Bettor Has His Day: While statistically, most players will lose more wagers than they win, there will be times when they will go on winning streaks. Sports betting is risky for both the player and the bookie, there will be seasons where only a handful of teams are good, making it easier for players to win their bets. Other seasons will favor the bookie, so you need to be financially prepared to handle the bad times. Not Every Pay Per Head Service is On Your Side: I don’t mean they are out to steal your players. What I mean is, since PPH bookie websites will make the same amount of money regardless of whether you as an agent win or lose, they might not manage the betting odds with the same care they would if it were their money on the line. 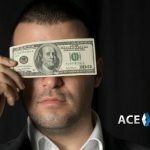 Luckily sites like AcePerHead.com do care, and they take extra steps to personalize their line management as much as possible to ensure you have a better chance of making a profit. Is being a bookie profitable? Well, yes, it is! In fact, online sports gambling is one of the fastest growing internet segments around the world, something that would not be possible if it were it not a lucrative business venture. How is being a bookie profitable? 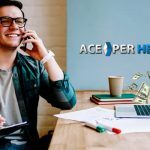 Lower Operating Costs: By enlisting the help of the top-rated pay per head services of Ace Per Head, your operating costs will be slashed to a fraction of what they would be if you owned a standalone online sportsbook. Sharp Betting Odds: To ensure consistent profits, it is vital for online bookies to post sharp betting odds. To do this, you require expertise which most online bookies don’t possess and cannot afford to hire on their own. That is where having the best oddsmakers and line managers working for you comes in handy, and the staff of Ace Per Head is by far the most professional and experienced. Manage Your Risk: There will always be a risk in sports gambling unless you personally are paying millions of dollars to players or coaches to throw a game, there are no guarantees in this industry. But, there are many tools at your disposal to make informed decisions that have a significant impact on your exposure. You can rely on the help of the line managers at Ace to point out potential risk factors you may overlook. Every day Presents New Opportunities: There will always be a game to bet on somewhere in the world. Working with Ace Per Head your players will have access to thousands of matches from different sports and leagues to bet on, this means there is little chance of you not accepting wagers every day. And the more bets you take, the better your chances of making a sizeable profit. Therefore, if you have ever asked yourself if being a bookie is profitable? 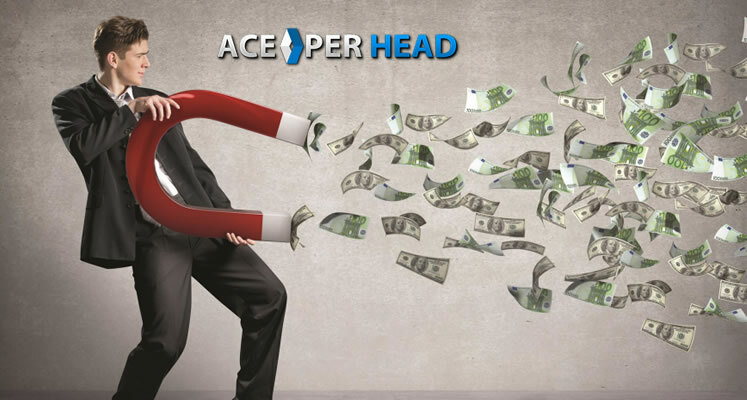 you now have your answer, it is as long as you work with a reputable pay per head like AcePerHead.com.